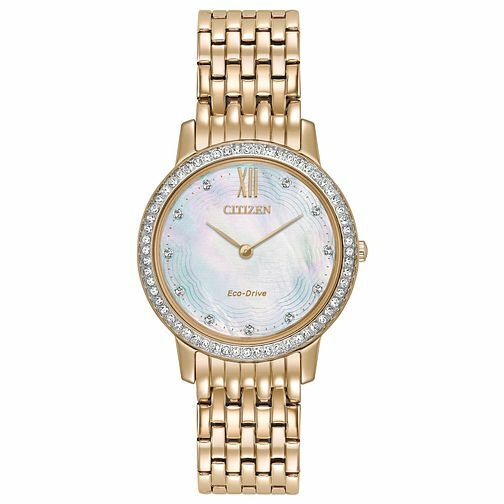 With a fresh, rippling design, this Silhouette Crystal watch creates a wonderful texture around the bezel with carefully set crystals. The dial features a beautiful lotus motif behind a multi-coloured iridescent texture creating wonderful depth. The watch is powered by Citizen's proprietary Eco Drive solar powered technology, removing the need for charging or watch batteries.